What is the age limit for tnpsc exam? When is the next exam? when is next tnpsc exam in 2012..can i write that exam at the age of 19..
How to Clear Tamil Nadu Group 1 Exams? Maximum age limit for TNPSC group VII exam for general category? Detailed information about TNPSC group II and IV exam? Its age limit? Age limit for TNPSC Group2 exam for BC? What is the age limit for writing TNPSC group IV? Upper age limit for Ex-servicemen for appearing TNPSC group II exam? Can a BE final year apply for TNPSC Group 1 exam? Re: What is the age limit for tnpsc exam? When is the next exam? what is the age limit for tnpsc exam?when is the next exam? When is the TNPSC exam in 2012? Yes You can write this exam at the age of 19 year. Tamil Nadu Government services in every year. Aspirant age should be between 18 to 30 years. There is no relaxation for reserved categories. Canidate should be fluent in Tamil.The educational qualification vary from service to service. TNPSC Application forms available in the Head Post Offices and Selected Sub-Post Offices in Tamil Nadu and Puducherry.It also got from TNPSC Office Sales Counter. Last date to apply online is - first week of February, 2012. NEXT EXAM IS HELD ON MAY 2012. TNPSC is "Tamil Nadu Public Service Commission". • You must be within the age of 18 and 30 years of age as on July 1st 2010. • No upper age limit for reserved categories. • The Educational Qualifications vary from service to service. • You should be fluent in Tamil. 1. You have to take up a written examination of 300 marks of 3 hours duration. hello sir am manoranjitham, and am an bsc maths graduate, i wants to write the tnpsc exam. my age is 20 . can i write the tnpsc group 4 exam? What is the age limit forward community for tnpsc exam? my age is 19 can i write tnpsc exam.next exam when starts. you have not mentioned yuor educational qualification. However i am giving some information regarding next TNPSC exam 2012. 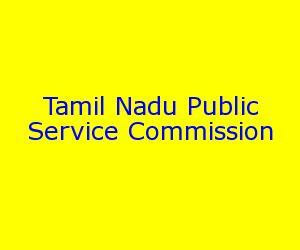 Tamil Nadu Public Service Commission conducts exam for recruit the persons for various services of the State Government of Tamil Nadu. - The Educational Qualifications vary from service to service but bachelor degree is must for the exams conducted under TNPSC. - You must be within the age of 18 and 30 years of age. - You should possess sufficient knowledge of Tamil. The duration of the written exam is 3 hours. The exam pattern includes two sections. They are General English/General Tamil and General Knowledge. Tamil Nadu Public Service Commission conducts exams for recruiting candidates to various posts in Government sector. * Must be a citizen of India. * Must have minimum 21 years of Age. * Maximum 30 years for General category candidates. * Must be a Graduate from any recognized university. The above mentioned are the details of TNPSC exam. Besides this every posts has certain educational qualification. Read the notification carefully before applying, whether you are eligible to the post. 1] Age Limit: For all the posts in Group 4 notification minimum age is 18 years. 2] Educational Qualification: Candidates must have passed S.S.L.C Public Examination or its equivalent for all the posts given in the Group 4 notification. (iii) Higher / Senior Grade in English and Lower/ Junior Grade in Tamil. III. Computer Qualification (Typist & Steno Typist Gr-III): Candidate should have passed the Certificate Course in Computer on Office Automation awarded by the Technical Education Department.